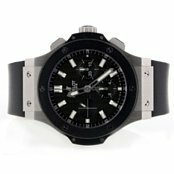 Sell Your IWC Watch at Worthy Today! Worthy is the largest network of luxury watch buyers & timepiece experts. 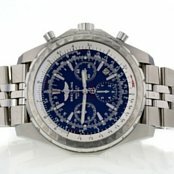 Have your watch evaluated, professionally photographed and presented to hundreds of potential buyers across the globe. You can sell your IWC watch in a matter of days without having to leave the comfort of your own home. Our unique auction platform enables professional buyers to compete for your luxury timepieces, ensuring that you get the highest market value when you sell IWC watches online. With over 30 years of experience in the business, the Worthy team is well-equipped to sell your watch. Working with independent evaluators who are at the top of their field, we provide the most accurate evaluation of your IWC luxury watch, free of charge. 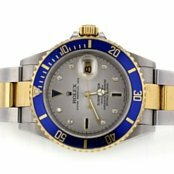 Since Worthy is not the actual buyer of your watch, our evaluations are conducted with the utmost objectivity, meaning that our evaluations are intended to authenticate and certify your watch rather than to assign a specific dollar amount to it. This extensive process fulfills two purposes: it enhances buyer trust while simultaneously ensuring that you will receive the best market value for your watch at the auction’s end. Our single purpose is to make sure that the auction process is handled with complete transparency for both the customers and the buyers. When you sell IWC watch with Worthy, we guarantee it will be kept safe in our possession. In fact, Worthy covers insurance costs from the moment they leave your hands. Moreover, Worthy has an excellent BBB rating and holds a Secondhand Dealer's License issued by the New York City Department of Consumer Affairs. 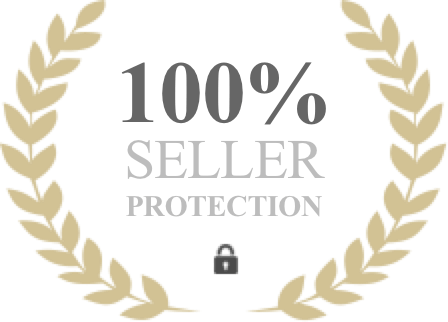 You can be rest assured that we operate according to US law and offer a trusted and a secure place to sell IWC Watches. How do I Sell My IWC Watch at Worthy? The International Watch Co. (IWC) is an exclusive Swiss watch manufacturer based in Schaffhausen, Switzerland. It was founded in 1868 by American engineer and watchmaker Florentine Ariosto Jones. His vision was to combine the engineering technology from America with the craftsmanship of the Swiss to produce watch parts for the US market. IWC Schaffhausen is known for making extraordinary luxury watches, but what’s mostly unknown about these Swiss masterpieces are the unique markings they possess. A popular marking found of IWC watches today is “Probus Scafusia” meaning “good, solid craftsmanship from Schaffhausen”. This was established as the official motto in 1903. IWC is a brand famous for its celebrated and wealthy clientele. Celebrities, royalty and the who’s who of the upper-class are known for their indulgence in the IWC brand. One of the most popular watches on the market today is the IWC Big Pilot 7 Day watch, owned by some of Hollywood’s leading men, including Bradley Cooper, Orlando Bloom, Jason Statham and Jude Law. Portuguese: Combining progressive modern mechanics with classic nautical instruments, these watches come with a gorgeous display with perfectly integrated numerals and pure white or black dials. Luxurious alligator straps compliment the timepieces in various colors. Portofino: This collection is immediately recognizable by its clean, classic design. Established in 1984, the style of these watches represent the luxurious, easy-going lifestyle enjoyed in the fishing village of Portofino in the Ligurian coast. Inginieur: Introduced in 1955, Inginieur watches are known for their extreme resistance to temperature changes and shock. These watches have 46 millimeter cases and the movement is safeguarded by a shock absorbent inner case, making it durable in even the most rugged conditions. 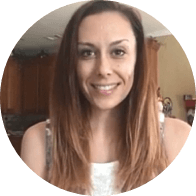 If you’d like a seller’s perspective on Worthy or are looking for any other helpful information, have a look at our customer reviews section. Here you’ll find dozens of customer experiences and you’ll be able to get a feeling of what it’s like to sell watches at Worthy. You can submit your watch now and get your free evaluation today!